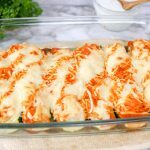 These savory Buffalo Chicken Stuffed Zucchini Boats are healthy, easy to make and low carb (keto approved). 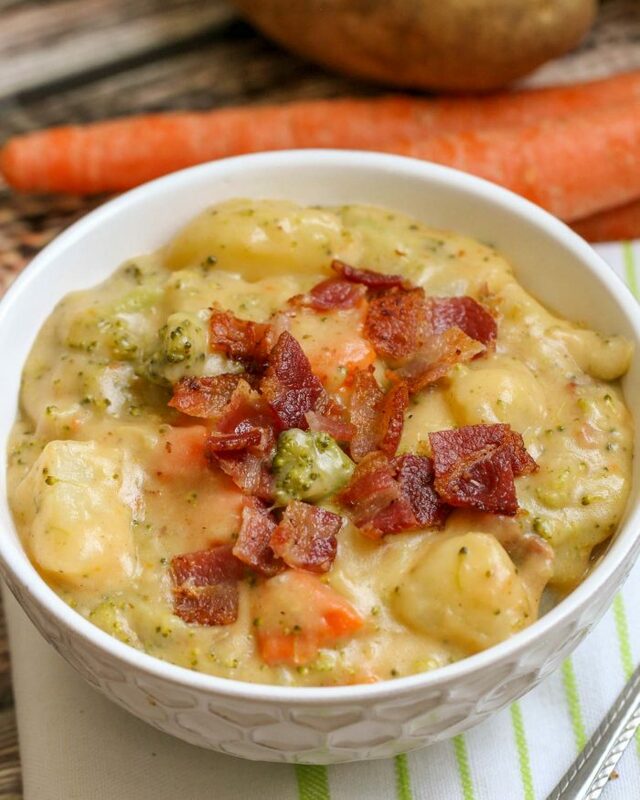 This recipe is a perfect way to add vegetables to your diet WITHOUT sacrificing taste! 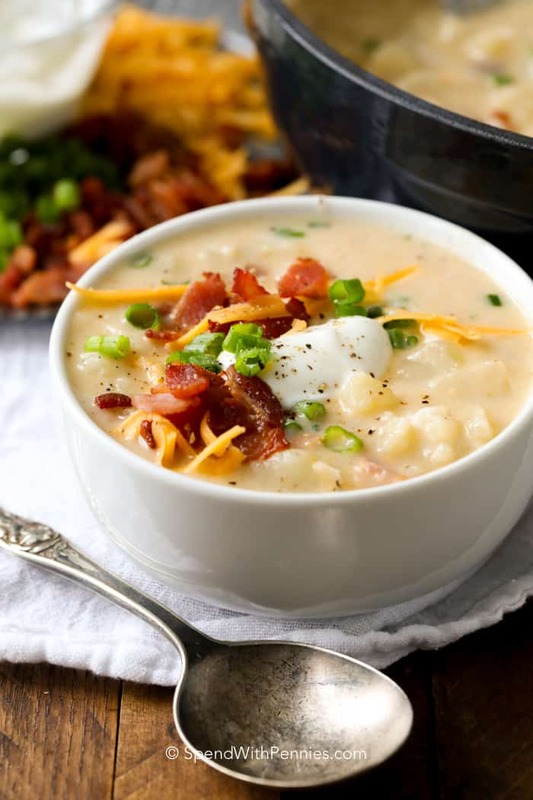 They are loaded with flavor and make delicious main courses or appetizers. 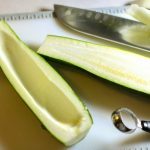 Zucchini Boats are created by slicing a zucchini in half lengthwise and hollowing it out with a spoon. 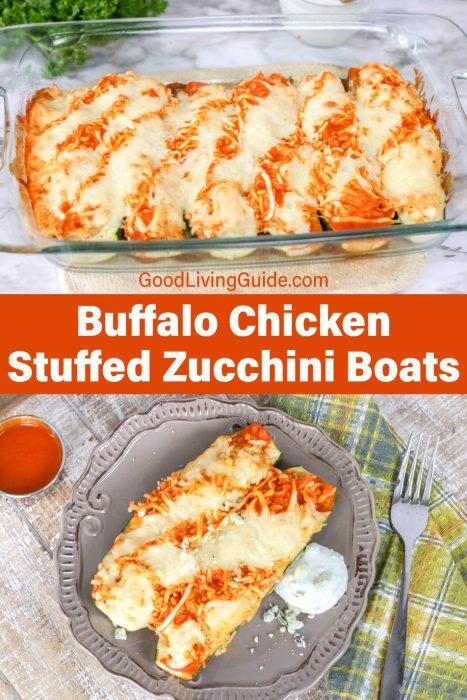 This essentially creates a “boat” for you to fill up the zucchini with your favorite ingredients. I have found that zucchini is a perfect vessel for stuffing any kind of cheese, meats, or dips into. 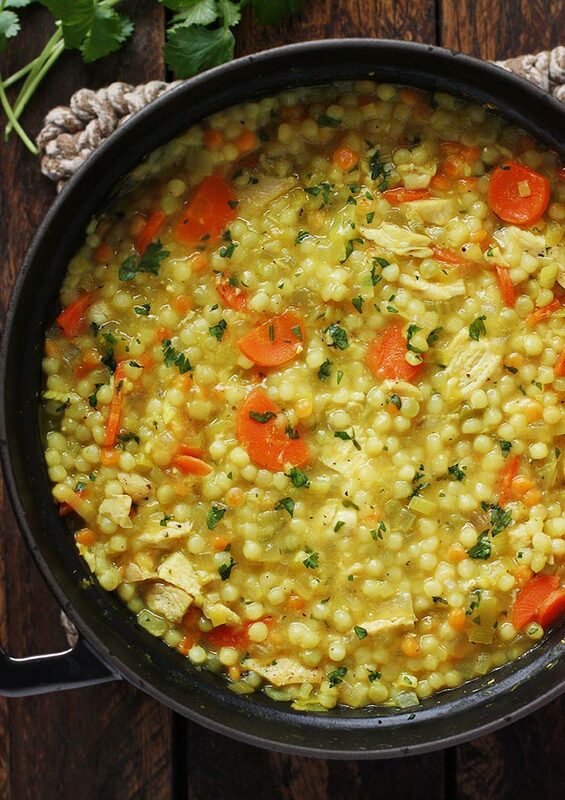 I regularly choose it over chips, breads, and crackers because it’s a much healthier alternative. 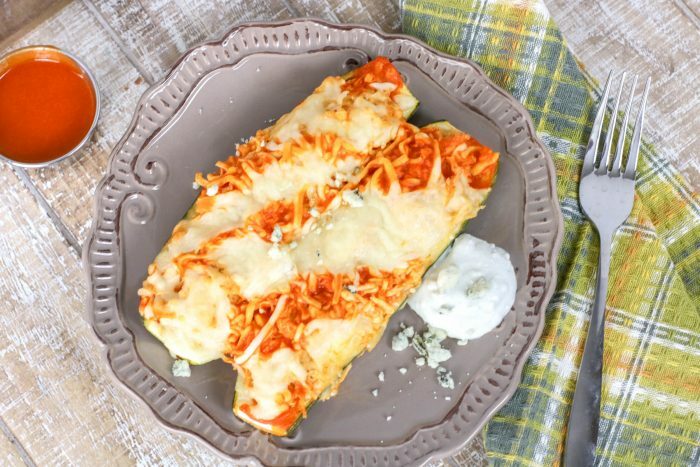 How do you make Buffalo Chicken Stuffed Zucchini Boats? 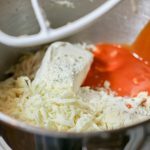 Once you’ve made your “boat”, then combine chicken, cream cheese, ranch seasoning, ¼ cup buffalo wing sauce and ¼ cup cheese in a stand mixer. Next, spoon the mixture into the zucchini boats, pressing down. Pile extra mixture on top until the boats are overflowing slightly. 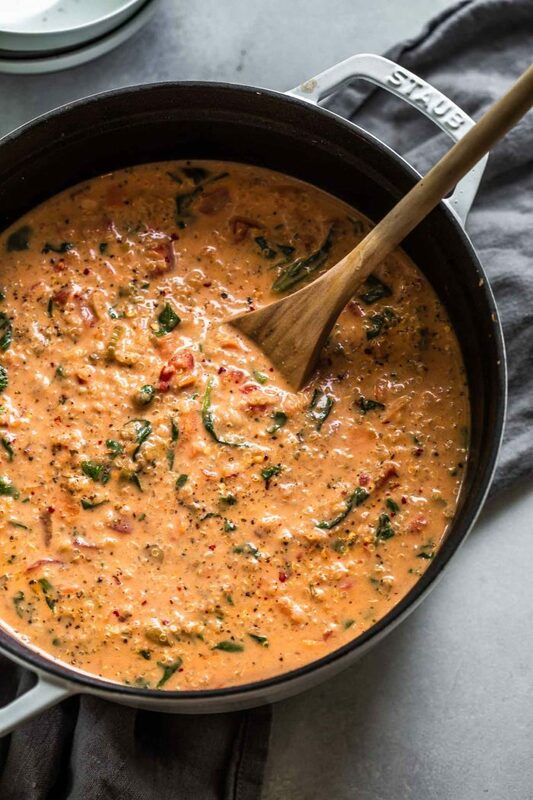 Add the remaining cheese and buffalo sauce over the top. Now it’s time to bake for 15 to 20 minutes. You will know it is done when the cheese is melted and the zucchini tender. 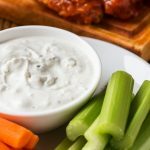 How do you make the Blue Cheese Sauce? 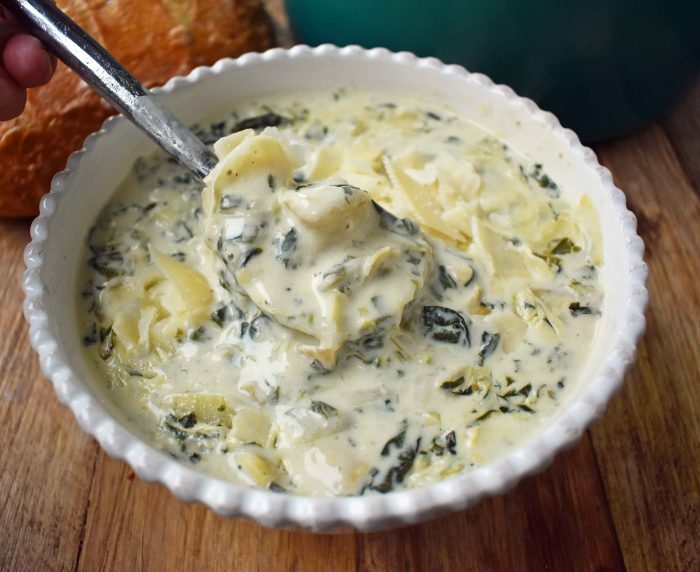 In a food processor, blend the blue cheese crumbles and the heavy whipping cream until thick. 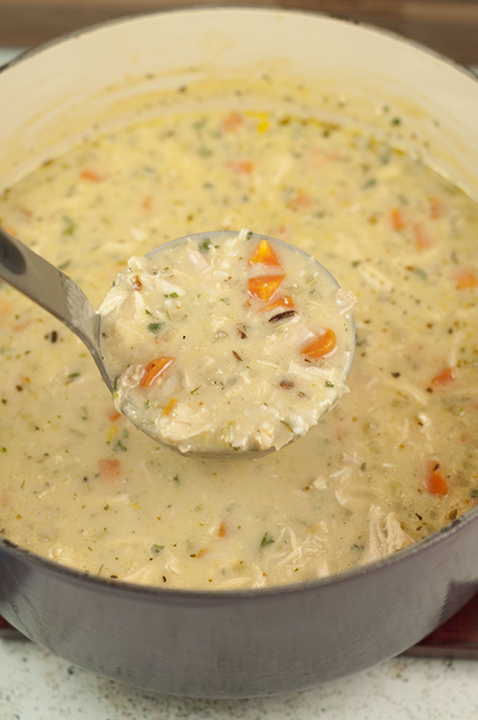 For the next step, slowly add milk until a desired consistency is reached. 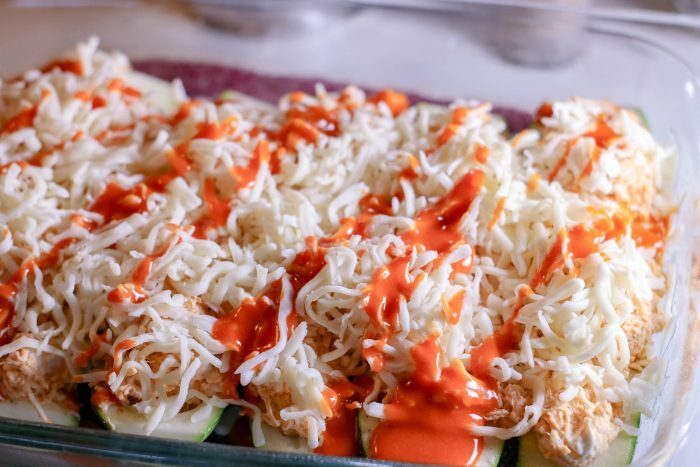 Now you are ready to serve your Buffalo Chicken Stuffed Zucchini Boats! 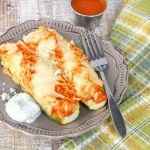 These savory and tangy Buffalo Chicken Stuffed Zucchini Boats are healthy, easy to make and low carb (keto approved). 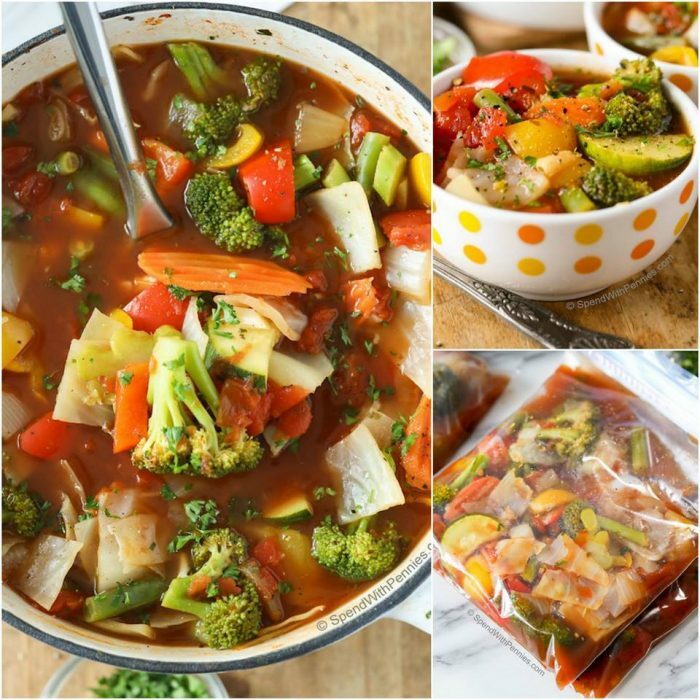 This recipe is a perfect way to add vegetables to your diet WITHOUT sacrificing taste! 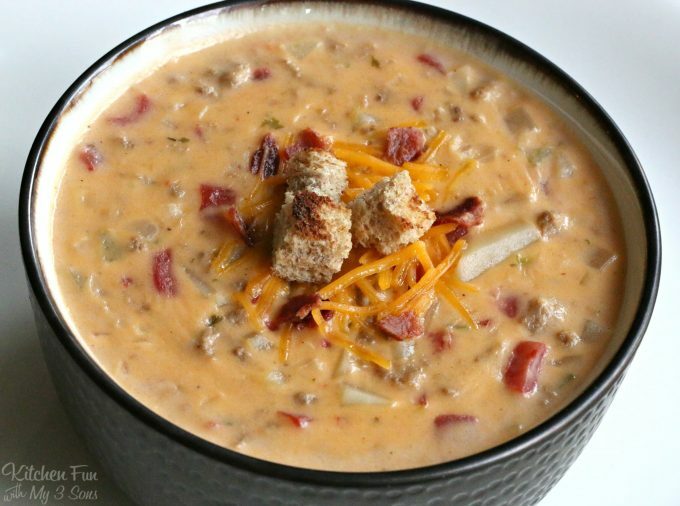 They are loaded with flavor and make a delicious meal or appetizer. 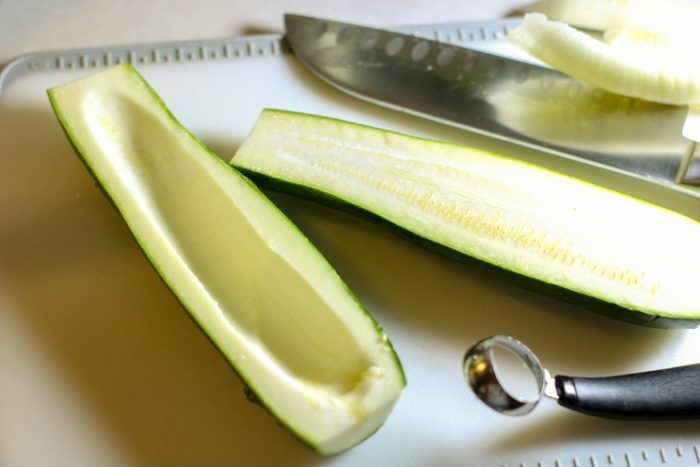 Slice zucchini in half lengthwise and scoop out the middle of the vegetable with a spoon leaving about 1/2 inch along the outside creating a “boat.” NOTE: If you prefer the zucchini to be soft when serving, bake the zucchini boat for 5 to 10 minutes prior to stuffing. 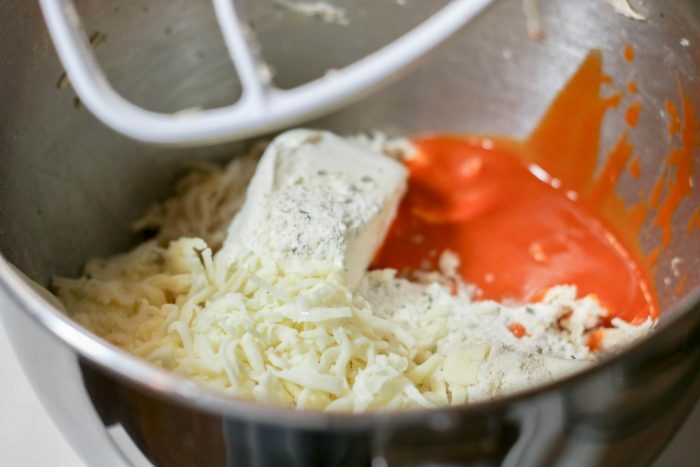 In a stand mixer, combine the chicken, cream cheese, ranch seasoning, ¼ cup buffalo wing sauce and ¼ cup cheese. Spoon the mixture into the zucchini boats, pressing down. Pile extra mixture on top until the boats are overflowing slightly. 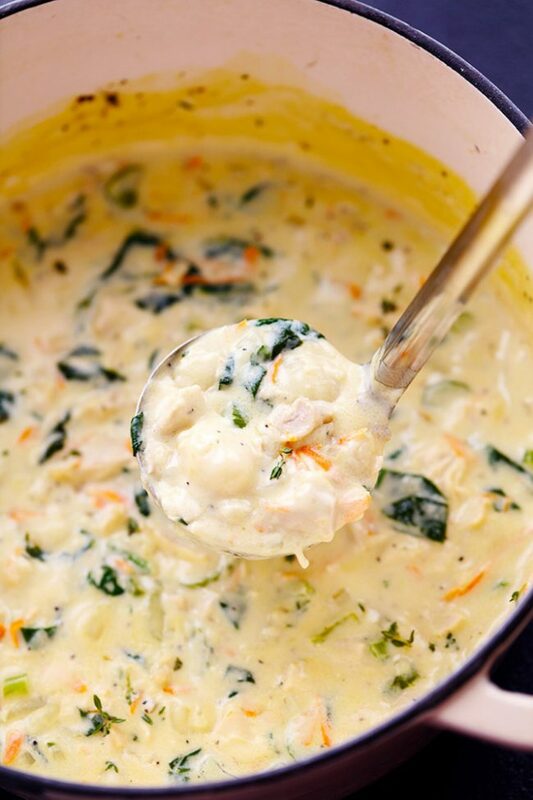 Add the remaining cheese and buffalo sauce over the top. 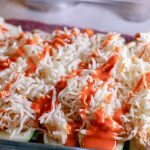 Bake for 15 to 20 minutes until the cheese is melted and zucchini is tender. 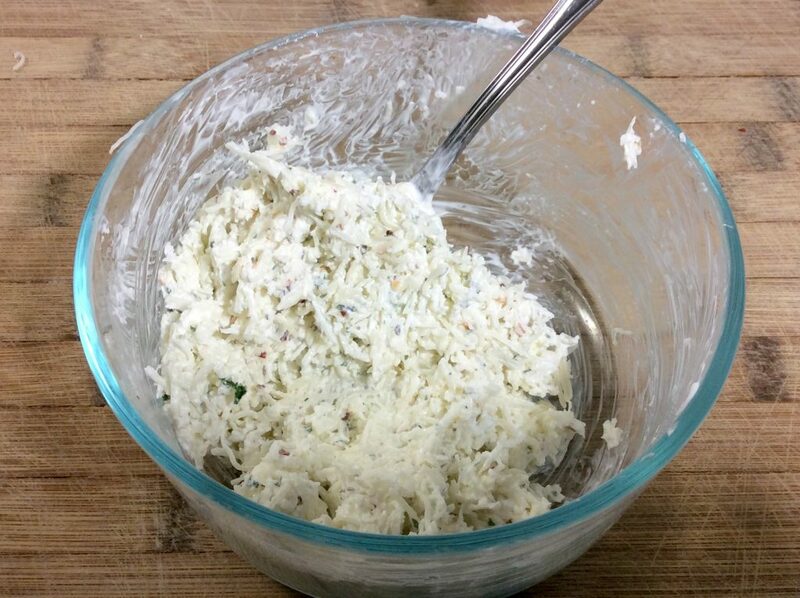 In a food processor, blend the blue cheese crumbles and heavy whipping cream until thick. Slowly add the milk until the desired consistency is reached. 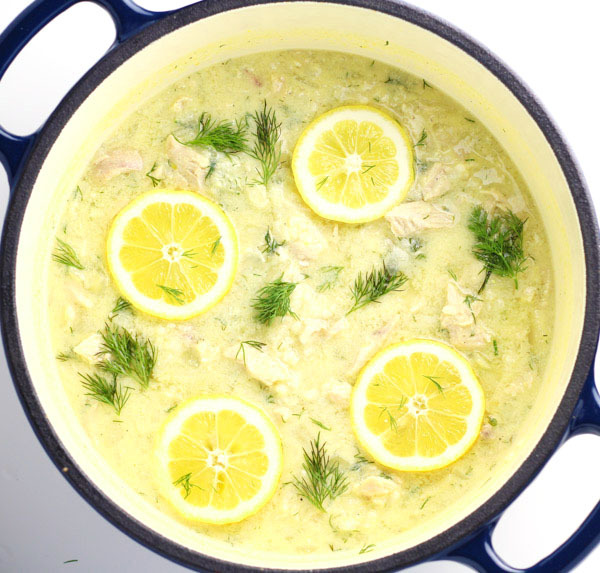 Serve with zucchini boats. 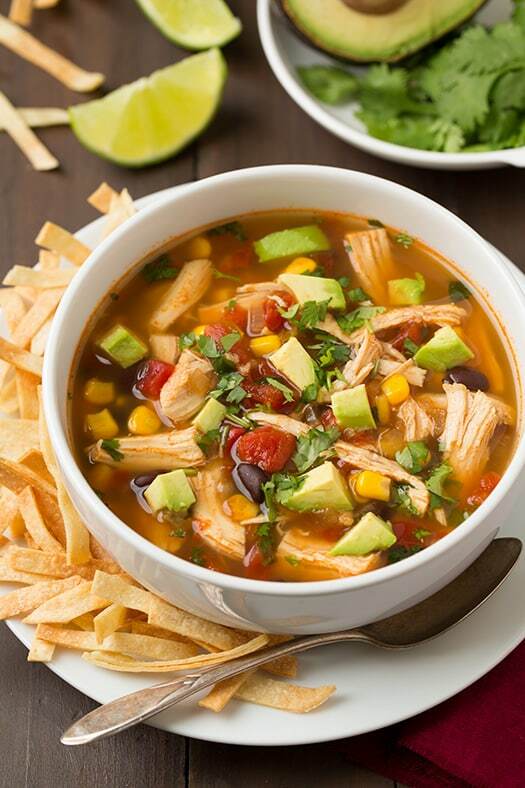 We hope you get the chance to try this easy and delicious recipe. 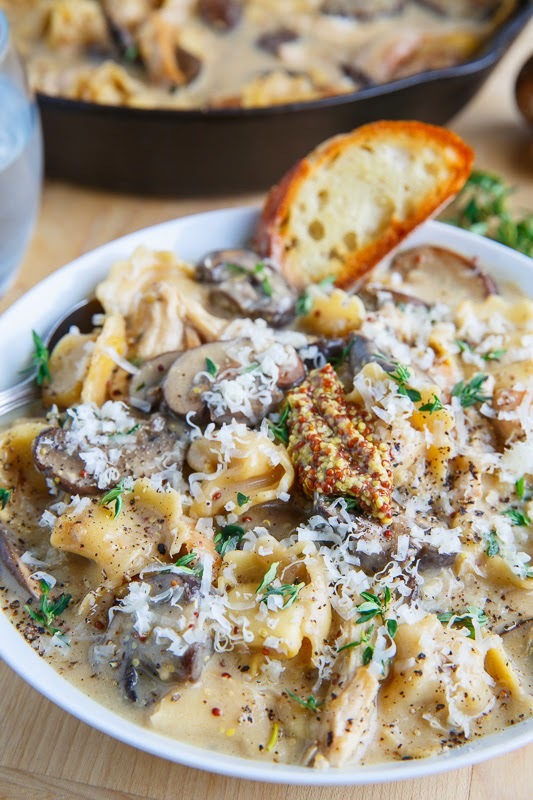 It sure is a great way to use up all those garden zucchinis. 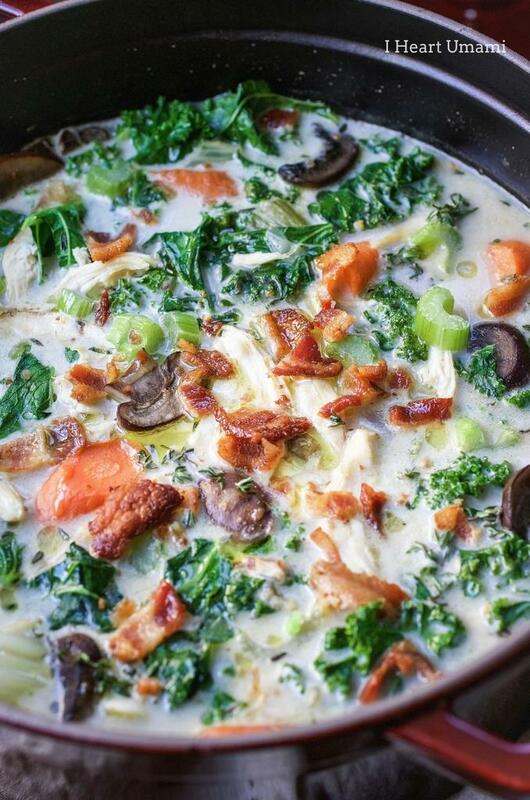 If you are looking for a low carb, high protein dinner option, then this is certainly the right meal for you! 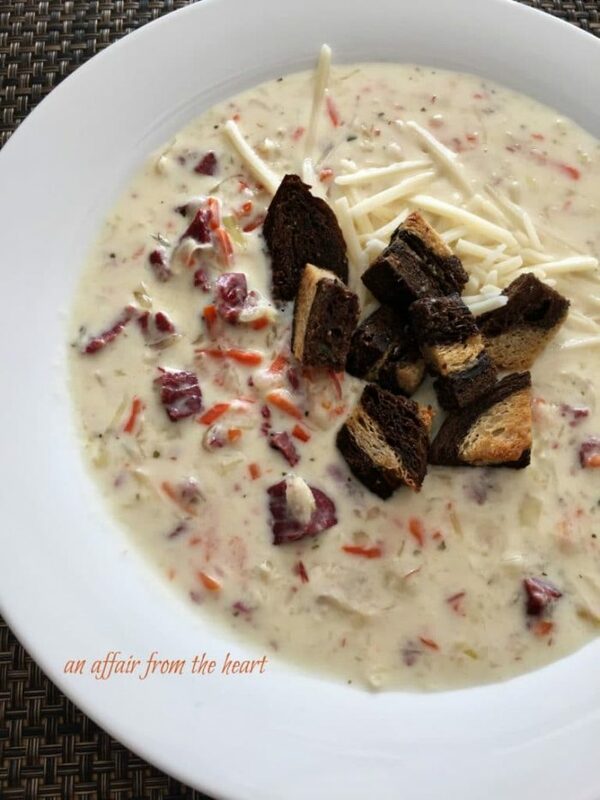 In the meantime, please check out some of our other recipes. 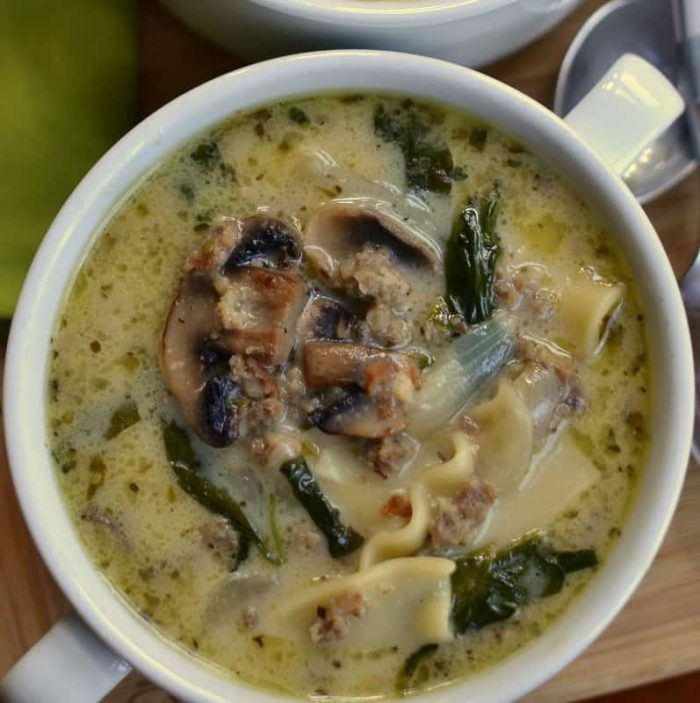 Is there anything better than a piping hot bowl of soup? 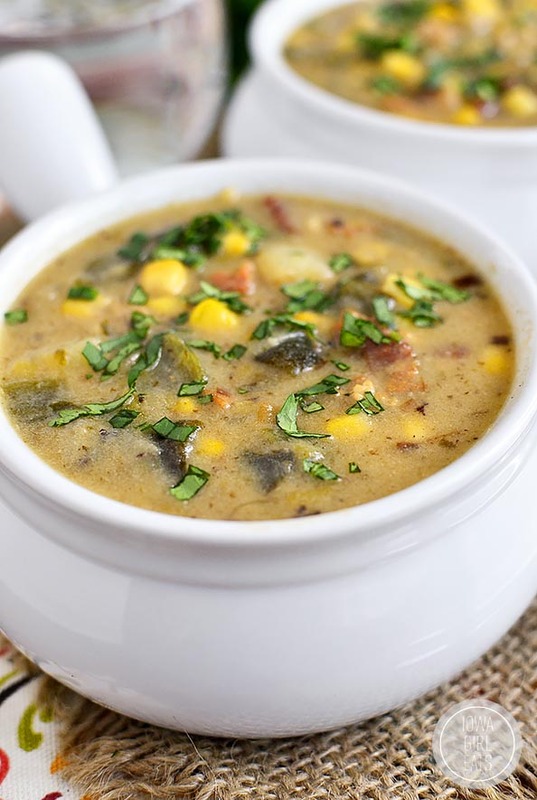 The aroma of homemade soup is certainly one of life’s greatest comforts. 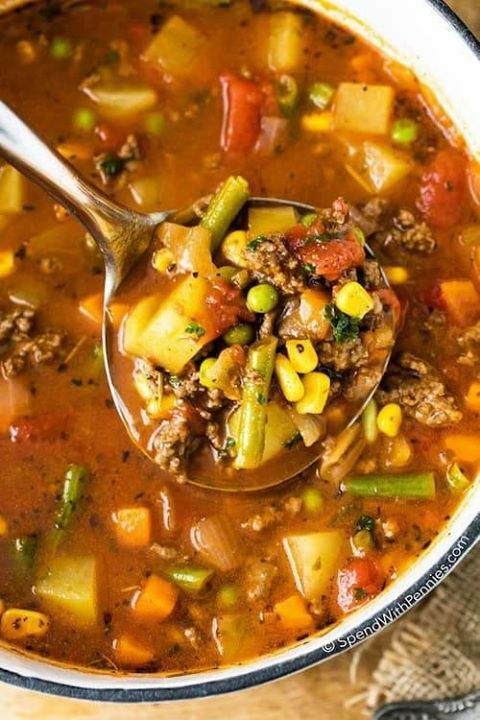 And according to scientific research, soup can help you lose weight because of its unique ability to curb hunger. 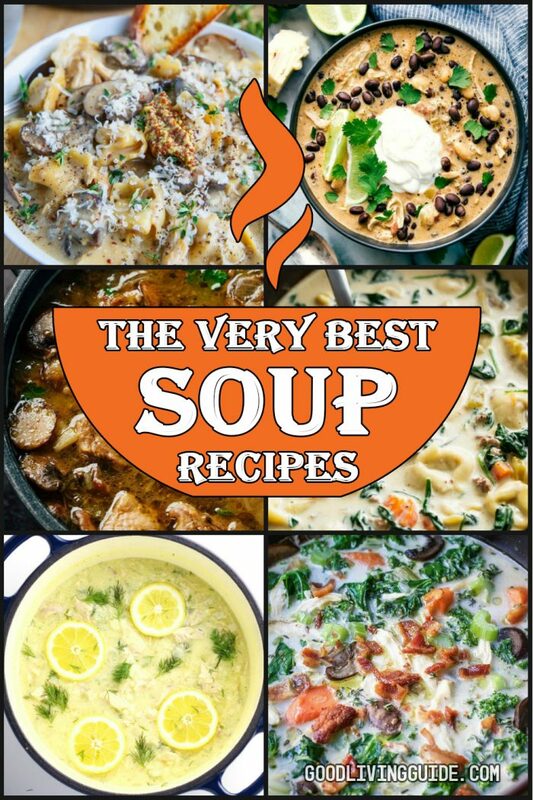 Whether you’re in the mood for something decadent and creamy or healthy and full of nutrients, we have compiled a mouth-watering collection of The Very Best Soup Recipes. 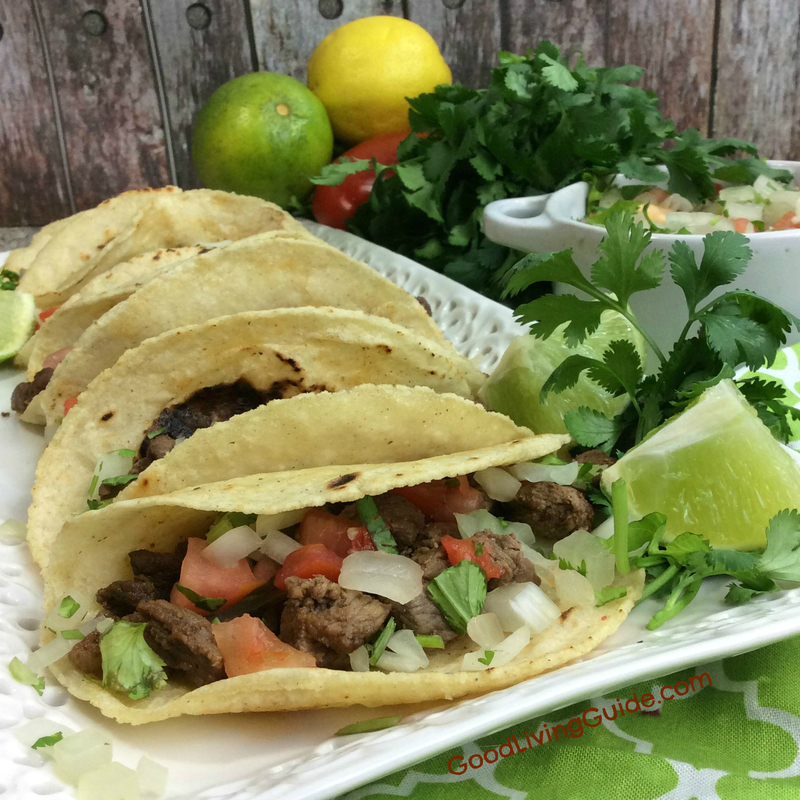 These Carne Asada Street Tacos are incredibly delicious and so easy to make! 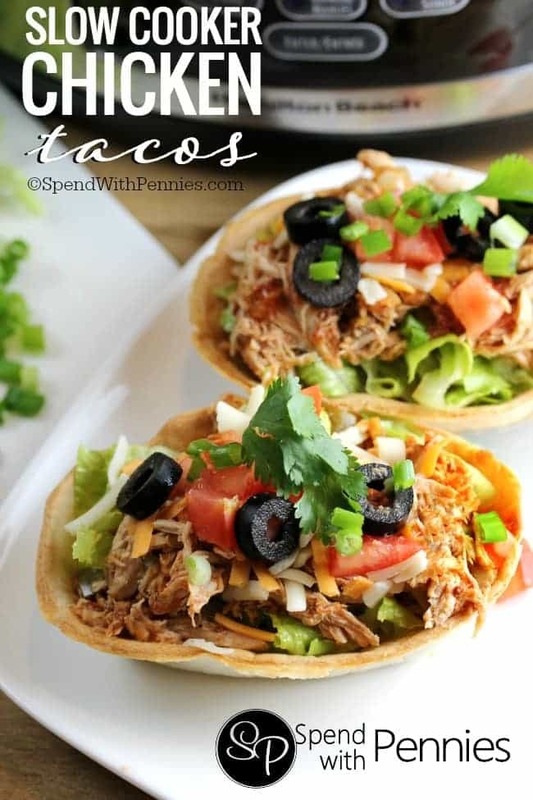 The marinade is what gives them the authentic “street” taco flavor! 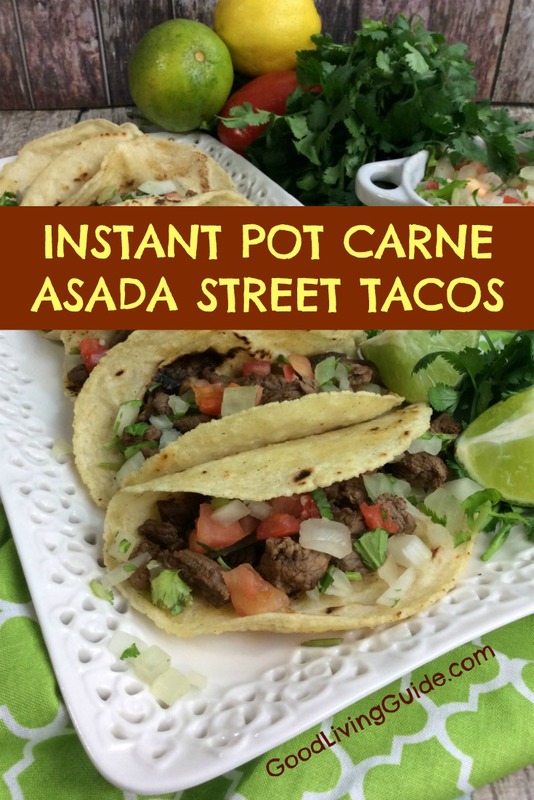 Why wait for a food festival or street fair when you can make these wonderful Carne Asada Street Tacos in the comfort of your own home? 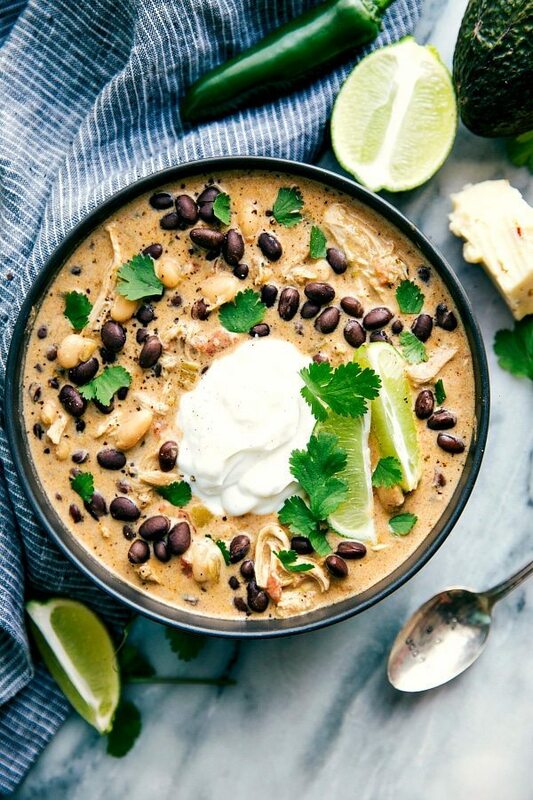 In a medium bowl, combine the lime juice, lemon juice, orange juice, apple cider vinegar, soy sauce, chopped garlic, salt, chile powder, cumin, and cayenne pepper. Place steak into bowl and let it marinate for 3 hours. Once marinated, cut the steak into 1/4 in pieces. 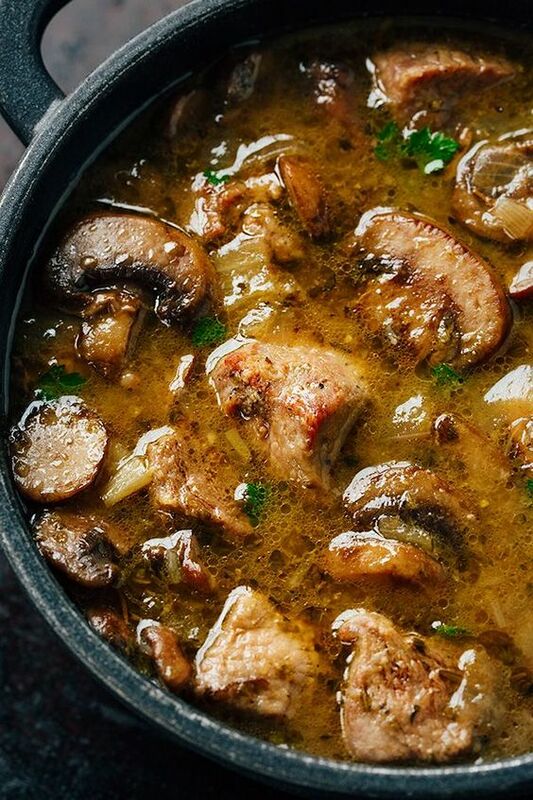 Turn on your Instant Pot to sauté. Add the oil and 1/2 cup of onions and sauté for 2 minutes, stirring a few times. 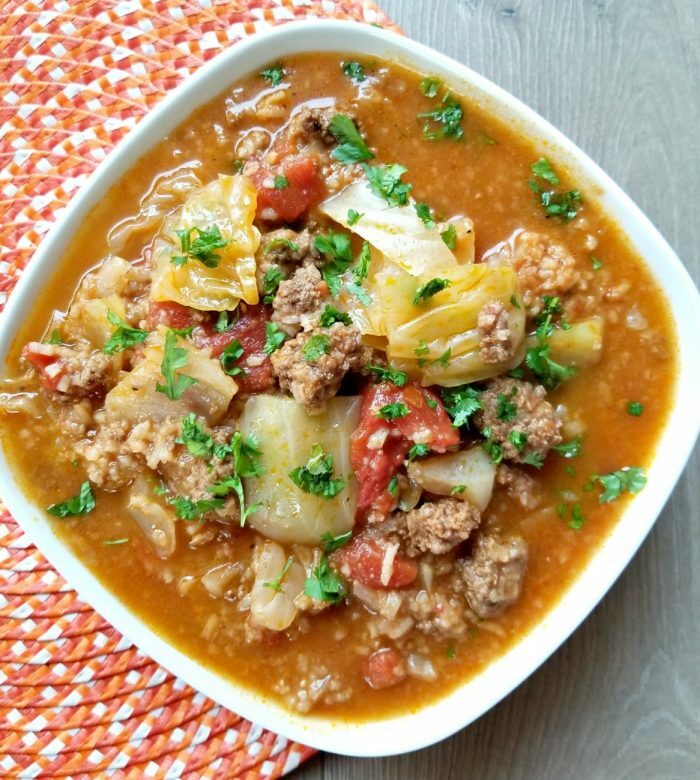 Add meat to Instant Pot and set to meat/stew. Adjust down to 6 minutes. 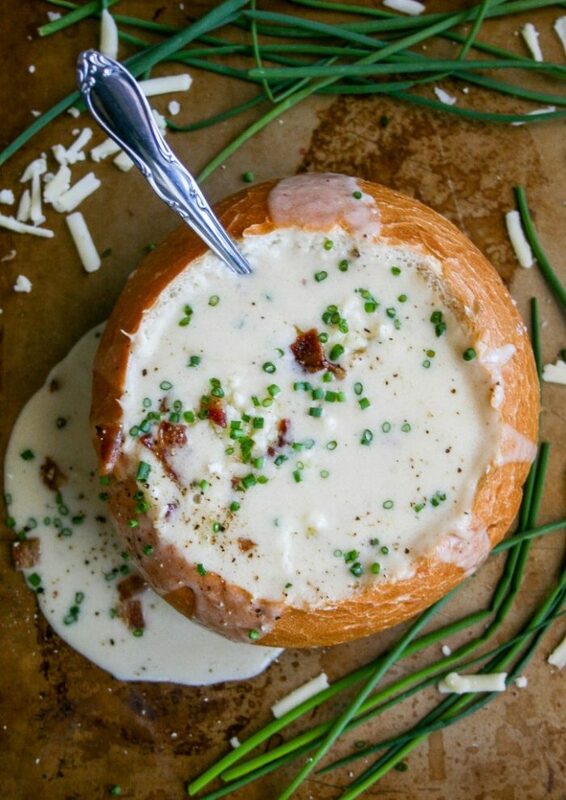 Allow pressure to cook for 15 minutes. 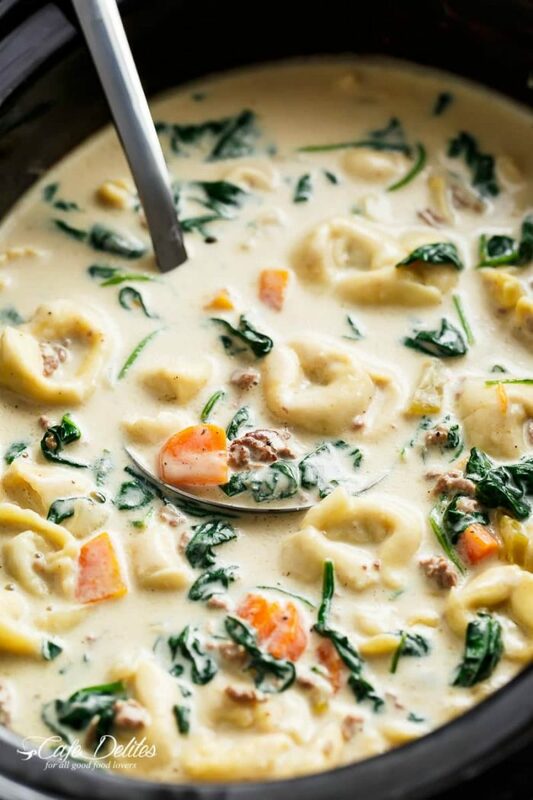 Once done, pull meat out and set in a bowl. 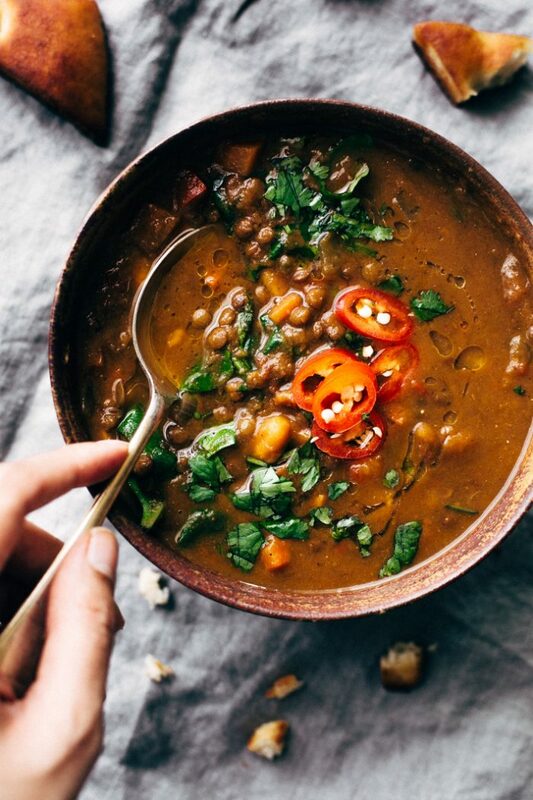 Grab some cilantro leaves and chop. Add cilantro to the 1/4 cup of onions and mix. Take a tortilla and scoop some meat onto it as well as the onion, cilantro mix and pico de gallo. Enjoy! 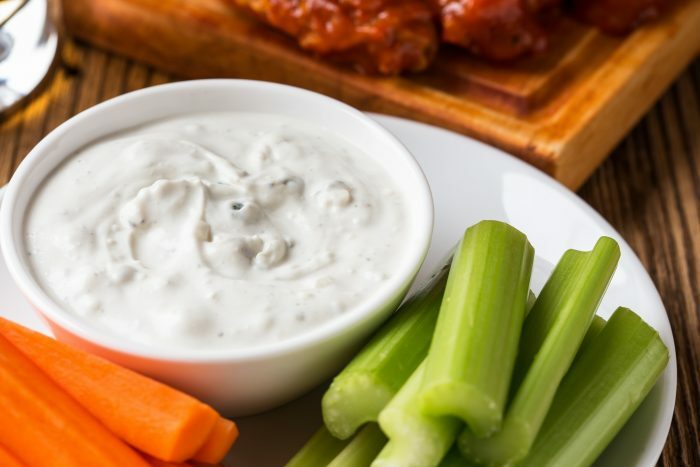 This is my favorite appetizer of all time. 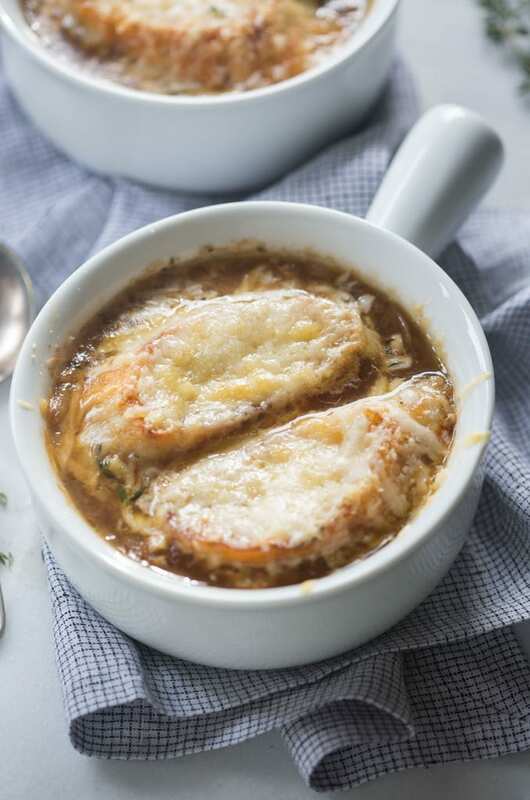 You just can’t beat baked gooey cheese served with toasted Italian bread! These are such a snap to put together and always come out amazing! 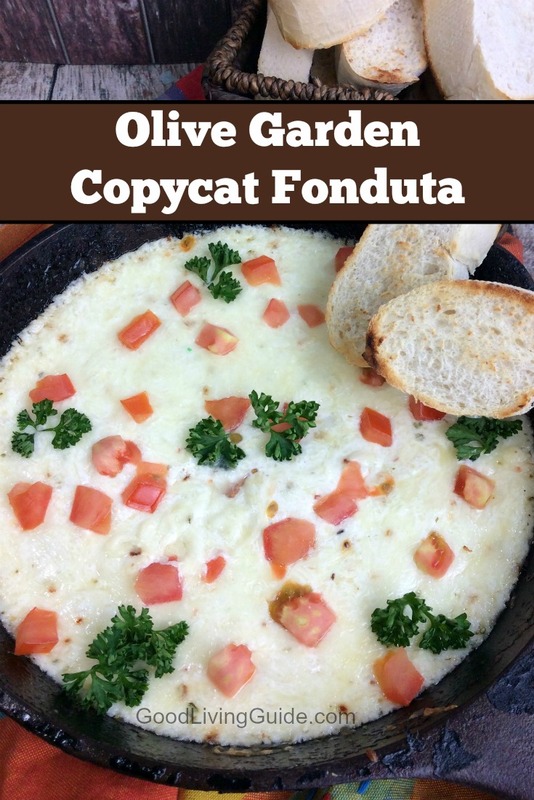 This Olive Garden Copycat Fonduta is my favorite appetizer of all time. 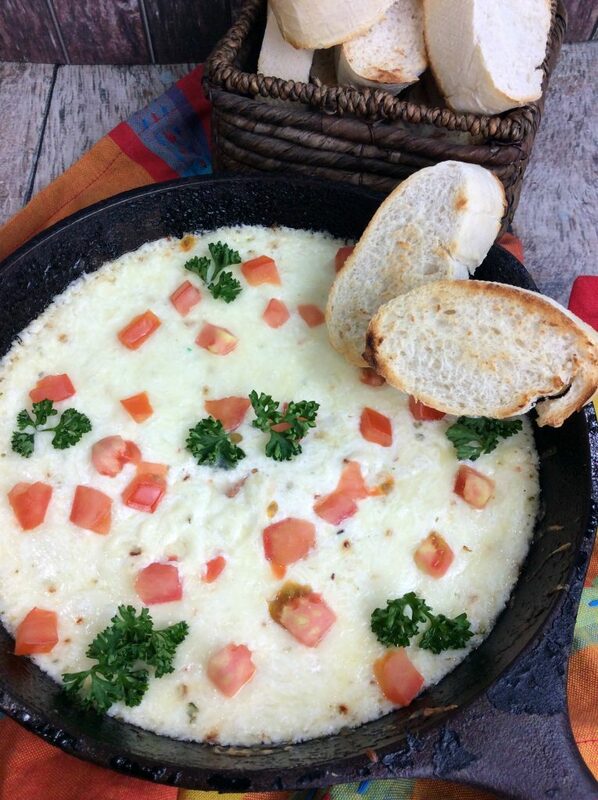 You just can’t beat baked gooey cheese served with toasted Italian bread! 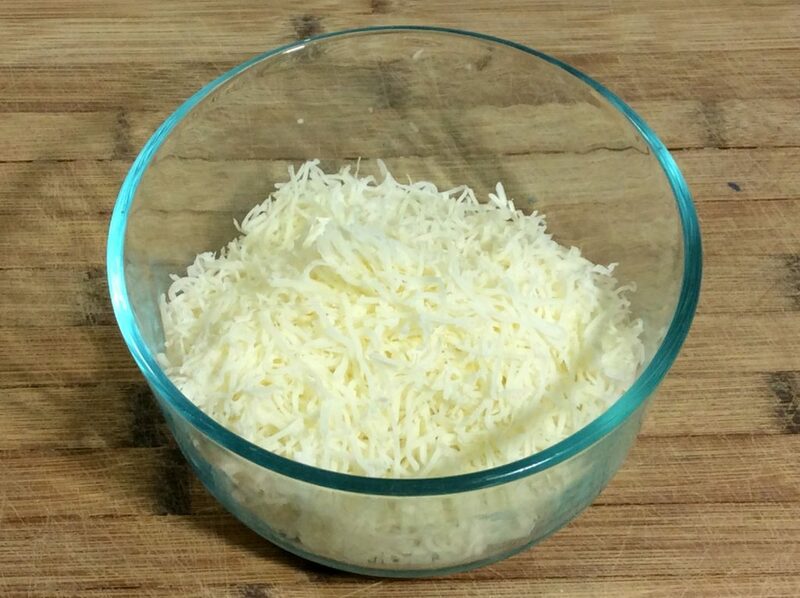 The recipe calls for just regular mozzarella and provolone cheese. It’s a personal preference, but I like to use smoked versions of these cheeses. 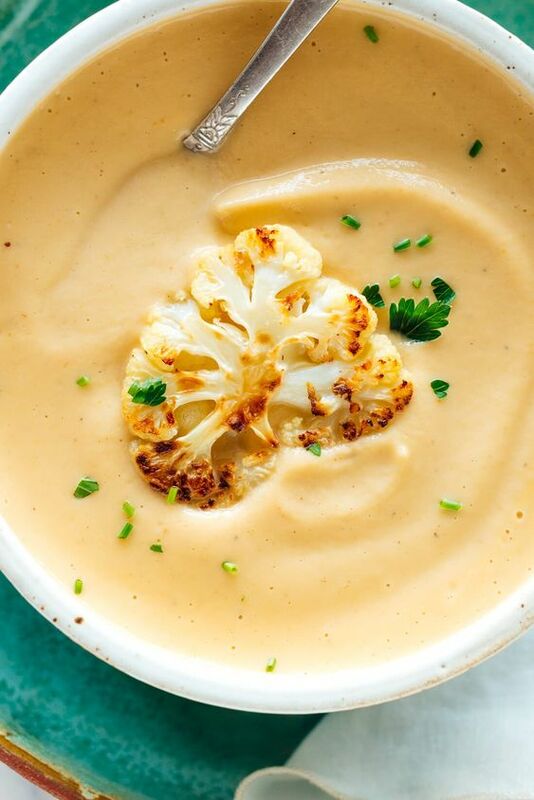 Just a hint of that smokiness can make a big difference in taste! 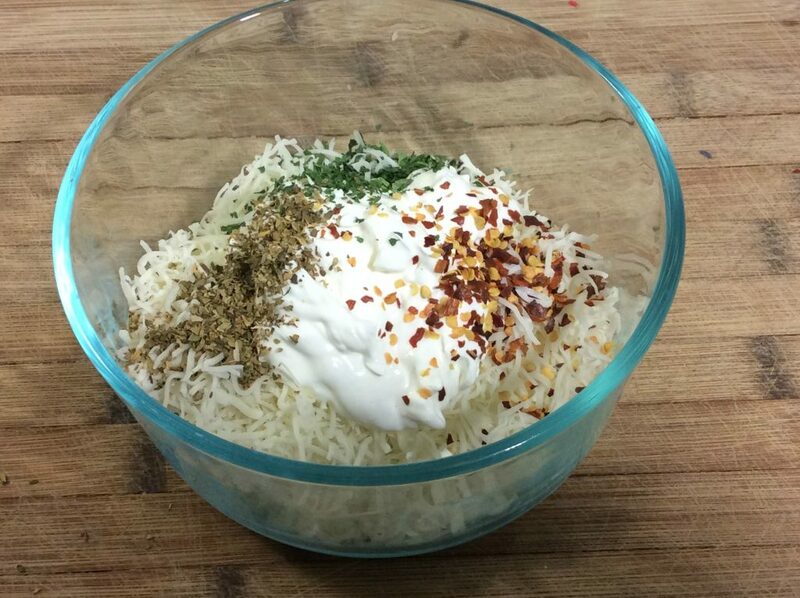 In a large bowl, combine the sour cream with the mozzarella cheese, provolone cheese, parmesan cheese, Italian seasoning, and red pepper flakes. 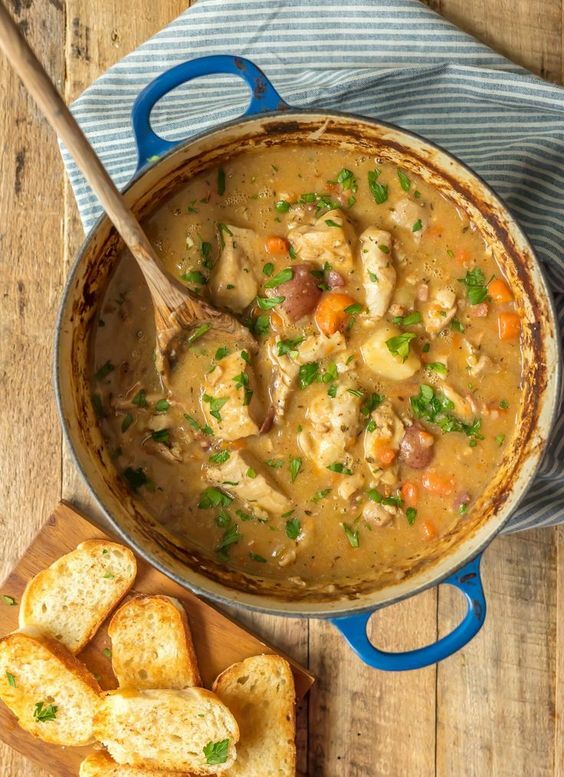 Mix together and then pour into the prepared cast iron skillet. Bake for 15 minutes, until the mixture is melted and bubbly. If you’d like the top extra browned, broil for an additional 2-3 minutes, but make sure to keep an eye on it so it doesn’t burn. 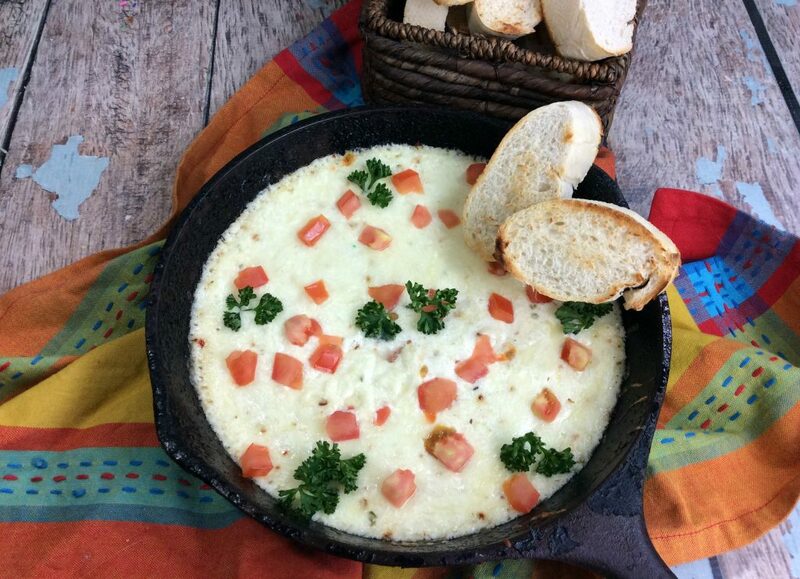 Garnish with diced tomatoes and parsley. 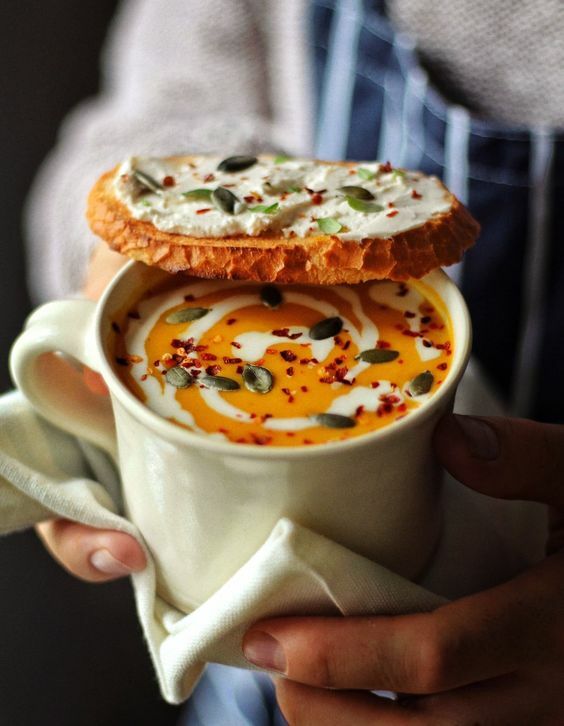 Bake the bread slices for 5 minutes then serve immediately. Pre-heat your oven to 450F. Spray a medium-size cast iron dish with Pam Cooking Spray. 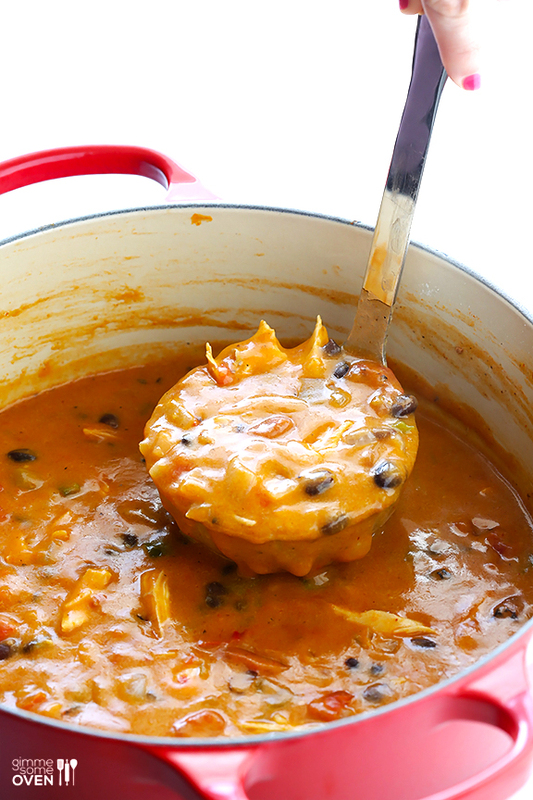 Pour the mixture into the prepared cast iron dish. 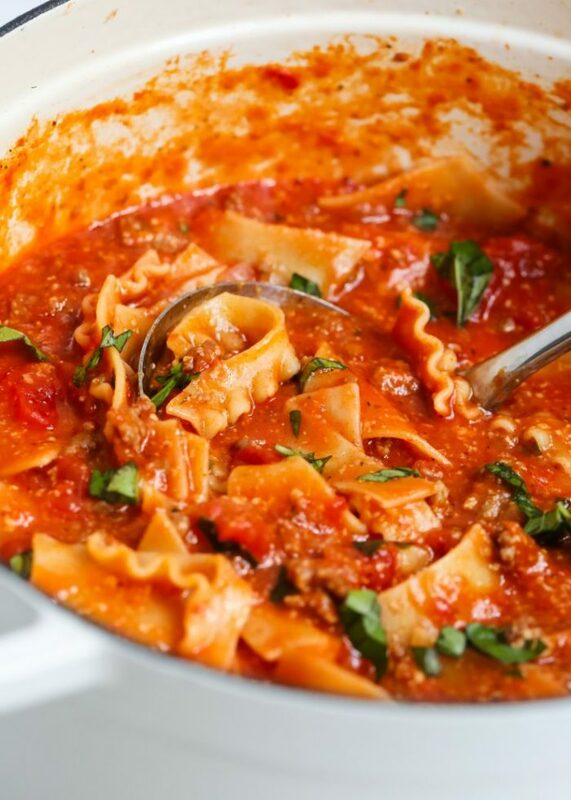 Garnish with diced tomatoes and parsley. 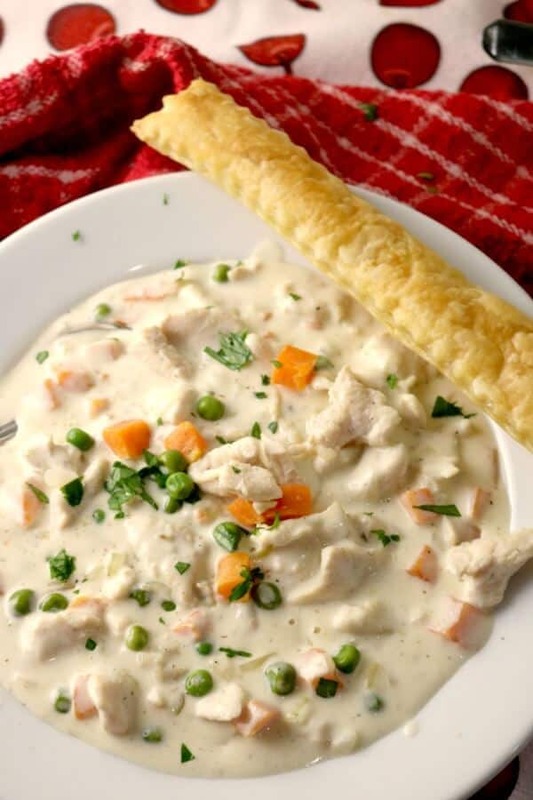 Bake the bread slices for 5 minutes then serve immediately.